Besides the Etude House I'm blooming line, there is also a makeup line with the name Dear Girls in the current Spring ad campaign. At the moment, I have only discovered three types of products, but there could be more waiting to be released. This product comes in a stick with two ends, one has a soft brown color and the other has a shiny beige color. At first, I thought that the makeup artist that did Sulli 's (the model in the picture underneath) make-up overdid it a bit with the white eyeliner under her eyes. But actually, she is promoting the Cute Eyes Maker in that picture. 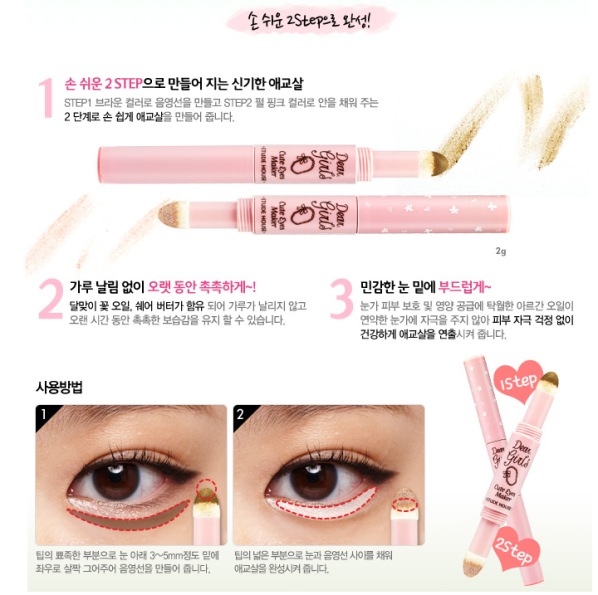 To get you to understand what this product is for, I first have to explain to you what the Korean word "Aegyo sal" means. Literally, it means cute skin/flesh and with it, Koreans mean the cute, puffy bags under a girl's eyes. I know, it is a bit hard to understand why they think that is cute, because I always didn't like those under my eyes. They make me look tired all the time. :) But I think, you are starting to get what you can do with the Cute Eyes Maker. These instructions that is provided, makes it even more clear. It is a simple 2 step method: 1. Apply the brown color under your eye to create the line of shadow that you should have, if you actually have those "cute" bags under your eyes and 2. Use the shimmery beige color to fill up the "bag" that you created before in step 1. This lights up the area that should be puffy, creating the optical illusion that you want to have (i.e. the light part sticking out/being puffy and the dark brown part sinking in, like a shadow). There are three new lip balm tins out: no. 1 is for nourishing the lips, no. 2 is to smoothen and moist the lips, and no. 3 is for shiny, glossy lips. The largest picture is of the Lip balm no. 3 and I am really curious about how the shimmers will look like on the lips. I have never seen a lip balm in a tin with that many shimmers before. 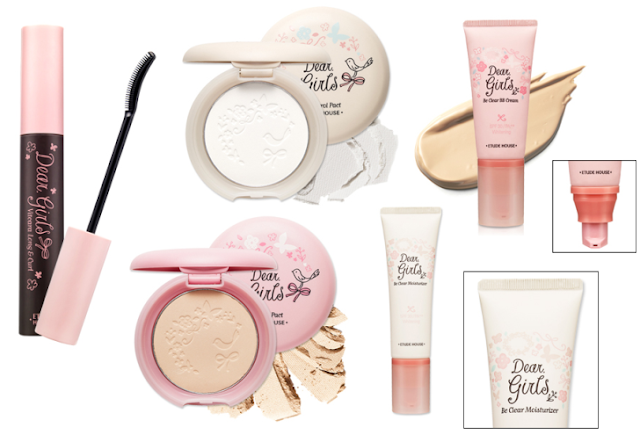 As predicted, Etude House did have more makeup products in the Dear Girls collection. 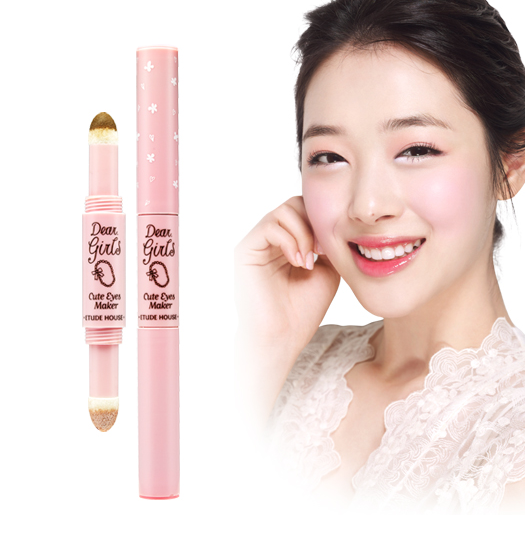 The Dear Girls Vitcara Long & Curl (the mascara on the left) is slightly more expensive than the also just released Etude House Oh! M' Eye Lash mascara's, with a price of 6,000 won. What's also different, is that the brush is curved instead of straight and although you might think otherwise from looking at the brown mascara tube, it is a black mascara. As it is starting to get warmer, you also want to keep your face looking fresh and clear. Etude House has created the Dear Girls Oil Control Pact (the white pact, 8,500 won), Be Clear Pact (the pink pact, 8,500 won), the Be Clear BB Cream (9,000 won) and the Be Clear moisturizer (6,000 won) for that. The two tubes both have 30 g of product and SPF30/PA++. What's is quite unexpected is that the tubes have a dispenser, hidden inside the cap. This makes it very hygienic and with its small size, it is also perfect for touch ups on the go or for travel. 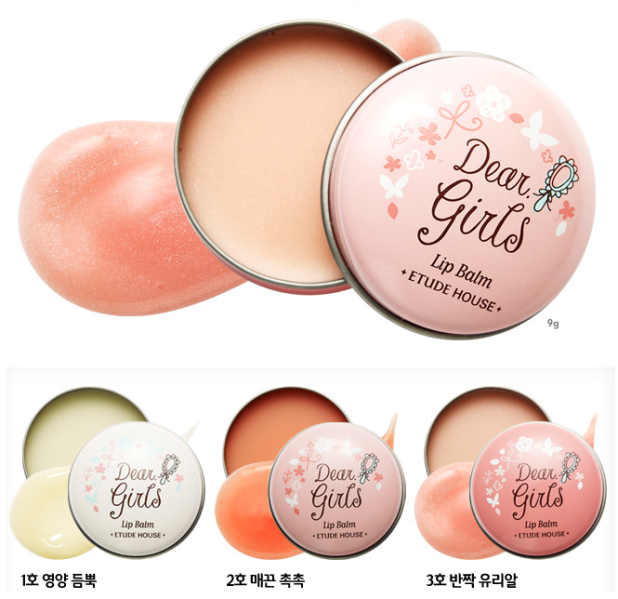 All pictures in this post are from Etude House and edited by me.